Here's the spot where we can post questions for our visiting author, Scott Nollen, whose most recently published book, Three Bad Men: John Ford, John Wayne, and Ward Bond (McFarland). This thread will be opened on Saturday morning, Feb. 8th. If you love American film, do you think you know John Ford, John Wayne and Ward Bond? This coming weekend at The Silver Screen Oasis we can all learn more about these men, asking our guest author to illuminate the long shadows cast by his three figures during a Q & A with registered members All are welcome to participate. 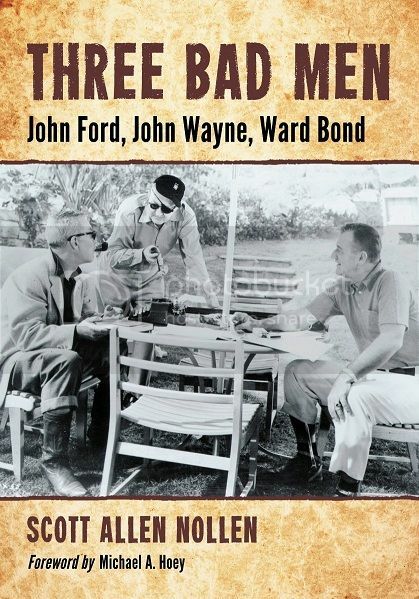 Scott Allen Nollen, the author of Three Bad Men: John Ford, John Wayne & Ward Bond (McFarland), will be the guest author on Sat., Feb. 8th & Sun., Feb. 9th. Nollen, a historian, archivist, author of many books, including one exploring the screen incarnations of Sherlock Holmes and another examining Laurel & Hardy, has distilled thirty years of fascination with John Ford films into this wide-ranging biographical take on the trio of flawed, "good bad men" whose careers intertwined with their mentor. The biographer brings his skills as an engaging raconteur to this chronicle of the adventures, glory and foibles of three of cinema's best remembered figures, revealing their complexity, contradictions and artistry in a way that has rarely been explored. 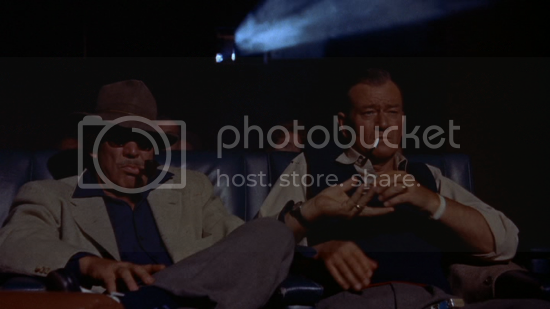 The difficult, poetic and gifted Ford was the axis, father figure, bete noire, inspiration, and conscience of John Wayne and Ward Bond, the two actors who appeared in so many Ford classics as well as hundreds of other directors' films in the studio era. One of the distinguishing characteristics of Nollen's work is that we see how profoundly being under Ford's lifelong influence helped and hampered the growth of John Wayne and Ward Bond as men and as actors. The vulnerability and strength of each of the three friends is part of the narrative, but most intriguingly for classic film aficionados, the author's exploration of the sometimes troubled life and wonderful career of Ward Bond is documented in an unprecedented way for the first time. The book includes dozens of rare stories and photos, a complete filmography for each individual as well as numerous letters, studio files, and personal reactions of the writer to his subjects' larger-than-life adventures, missteps and moments of grace. While Ford and Wayne have received considerable attention in print prior to Nollen's book, the book shifts a reader's perspective on them from the iconic to a much more human level, bringing them to life through the author's detailed account of their everyday lives and struggles. 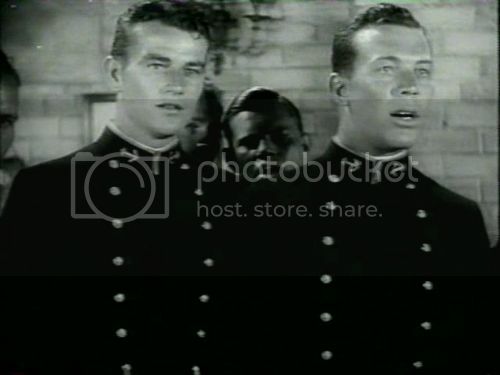 Above: A very young John Wayne & Ward Bond in Salute (1929) directed by an uncredited John Ford & David Butler. Please accept this invitation to be a part of the discussion on Sat., Feb. 8th and Sun., Feb. 9th. Good morning, Scott Nollen, and thank you for joining us this weekend! I thoroughly enjoyed your book, which captured Ford, Wayne and Bond as complex individuals, as well lifelong adult friends. What drew you to tell their story and what aspect of their lives did you find most difficult to relate on paper? Thanks in advance for your reply. Hello and good morning. It's quite a pleasure to be here among so many classic film aficionados. John Ford has been my favorite film director for more than three decades, and after studying and writing about him in college, I always had the idea that someday I would write a book about him. Considering that so much excellent work already had been done on Pappy's life and career, I knew I needed to develop a new approach to the material. I wanted to write about all of his films, but then realized I could try to do that within the framework of his longtime friendship and working relationship with Wayne and Bond, the latter having particularly interested me both as a fine actor and a fascinating person. In fact, a close friend had long been after me to write a book about Bond, so I finally devised a way to do that. As to the greatest challenge, it probably was discovering enough research material about Bond. 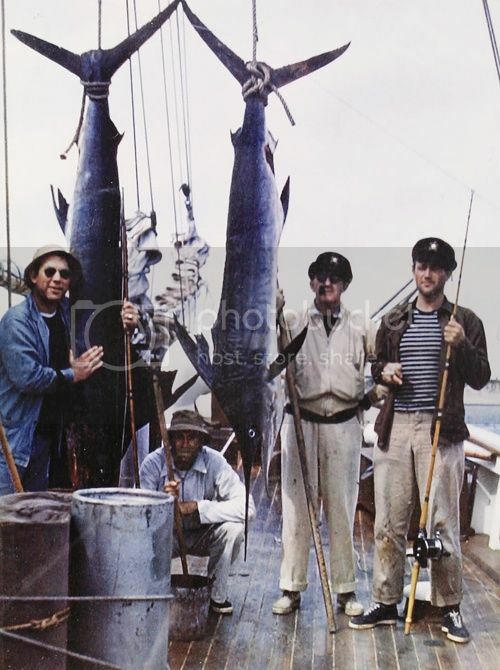 I really lucked out when I was able to purchase a collection of his personal papers, photos and other personal items, which are now a prize part of my film memorabilia collection, and it was terrific to be able to share them with readers and Ford-Wayne-Bond fans. Another enormous challenge was attempting to write a sound, historically accurate version of their personal and political adventures, which of course can be quite controversial. My educational background includes degrees in both film and U.S. and European history, so I've always been fascinated by combining the two disciplines in my writing. There were a lot of other challenges, as well, especially just covering the hundreds of films made by the three men and working in such a high level of detail, while trying to make the book interesting and readable! Thanks so much for asking, and, again, I'm honored to be here this weekend. I have TCM on the TV and am planning to spend most of the next two days right here. Wayne and Bond both were strongly conservative, while Ford could be quite contradictory in his political views. During the 1930s, Ford was quite liberal (as were many artists during the Depression), but he began drifting more to the right after his experiences in the military during World War II. Regardless of any political differences they may have had, this never affected their friendship in a negative way. Mainly not to let his protégés become involved in anything substantial without his participation, Ford even joined the Alliance for the Preservation of American Ideals after the war. Though Ford didn't really agree with their support of the blacklist, he didn't want to be excluded from Duke and Ward's activities. Really the only thing that affected their friendships in a negative way was Ford's strong need to control every aspect of his life and career, and he often could be quite insensitive toward his pals if they seemingly offended him in any (even very small) way. 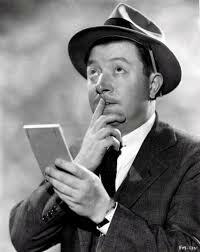 Ford was an extremely complex man, and others never knew what would set him off, especially when he'd been drinking. My pleasure. Thanks for asking. A rather mundane question for you but if Ford more the man that is the crank the is making Peter Bogdonovich's life difficult in that interview or a big softy that makes "How Green Was My Valley"? I imagine the truth lies somewhere in between. They seems an odd trio. Was it some aspect as Ford being the father to two sons? Ford could be very elusive and irascible AND very sentimental (a feature of his personality he didn't like others to see in person), plus a myriad of other things! Of all the people I've written books about, Ford is definitely the most complex and contradictory of them all--and that's saying a lot. Yes, Ford was a father figure to both Wayne and Bond, whom he viewed as surrogate sons. He had a much closer relationship with Duke and Ward (especially the latter) than he did with his own son, Patrick, who lived in his father's shadow much of the time. The book, in great detail, explains these complex relationships--it's very difficult to answer the question here! Thanks very much for asking. Thanks. I've always thought the relationship pretty interesting just in the dynamics of what we know about their personalities. I appreciate you taking the time to visit with us. Good luck with the book. It goes on my list. Thanks very much. I'm enjoying myself here immensely! That's wonderful to hear. The good news is you can visit any time you would like to visit. We're harmless. Thank you for joining us at SSO. Really the only thing that affected their friendships in a negative way was Ford's strong need to control every aspect of his life and career, and he often could be quite insensitive toward his pals if they seemingly offended him in any (even very small) way. Following up on this (perhaps in myriad ways): What was Ford's reaction to Wayne or Bond when they worked with another director, especially when they turned in strong performances? RED RIVER and ON DANGEROUS GROUND immediately come to mind. Did Ford consider it a breach? Was he happy for them, but envious of the directors being able to elicit those performances (especially Ray whose style and approach appear so different from Ford's)? To Hawks regarding Wayne (allegedly): "I didn't know the SOB could act." A jab at Wayne, or a show of respect to Hawks, or a little of both? To Bond on Andy Devine's death (allegedly): "Now you're the biggest a**hole I know." Teasing among kindred spirits, or intentionally diminishing him in order show superiority? Apparent cruelty due to mean-spiritedness, a sense of insecurity, or just being a guy? Edit: I think & type to slowly. The "surrogate son" reflection appeared in the meantime. I believe Ford's comments and behavior toward his actors/friends stemmed from insecurity, but since he was such a monumental mythmaker (and compulsive liar), it's very difficult to determine exactly what his motivations were for certain remarks and actions. The fact is that, the more abusive (verbally and sometimes physically) he was toward someone, the more he actually loved that person. He very rarely allowed himself to show positive emotions toward others. One exception was his compliment to little Shirley Temple after shooting Victor McLaglen's touching death scene in WEE WILLIE WINKIE. Ford didn't express love by being caring and complimentary; rather, he expressed it by being "a mean old SOB." He certainly was a prime example of a genius whose behavior often bordered on insanity (especially exhibited by his near-suicidal alcoholic binges which would have killed nearly anyone else).